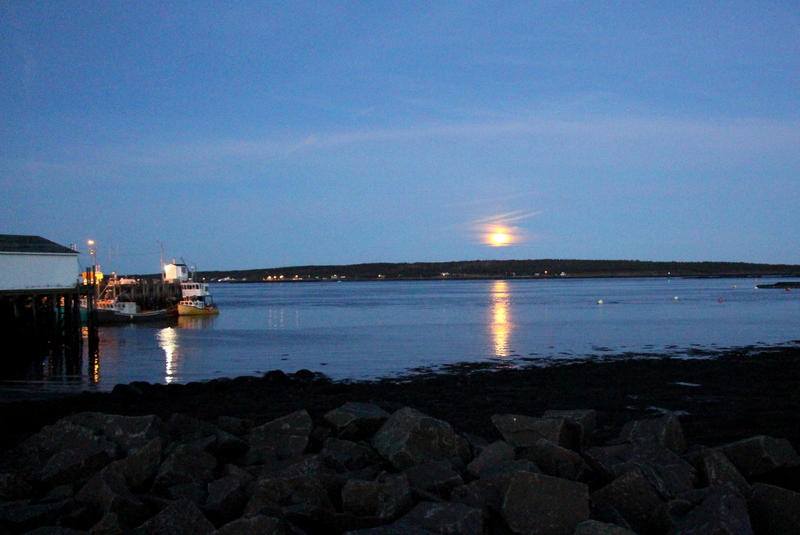 Last weekend my boyfriend and I took an exceptionally lovely trip to Brier Island. 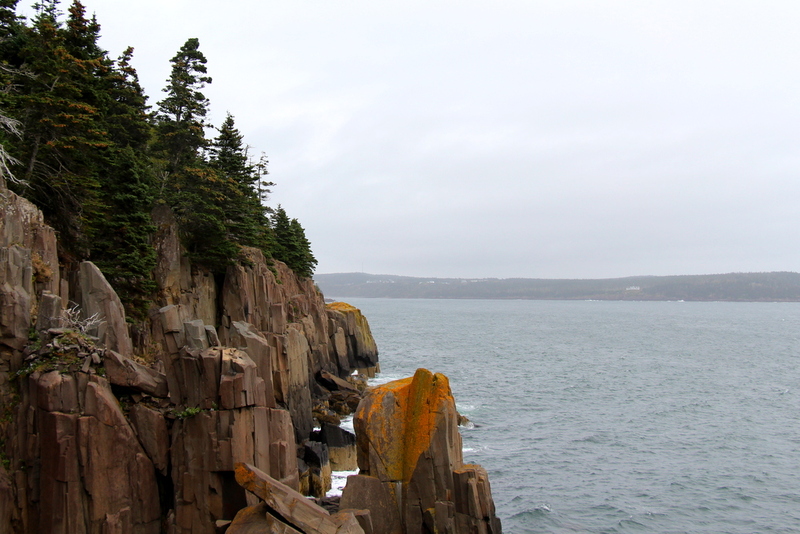 Brier Island is a tiny island in the Bay of Fundy, the westernmost part of Nova Scotia, Canada. This tiny island is only one village large, approximately 25 km in length, and about 200 people live there year-round. 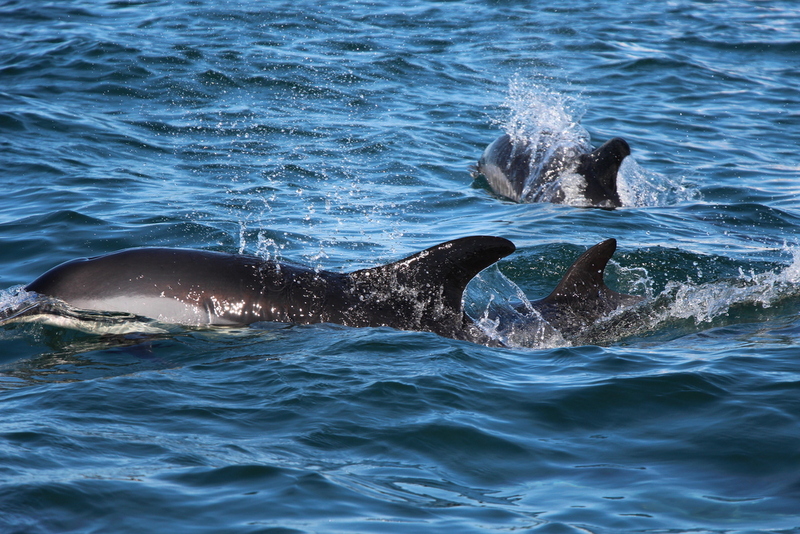 However, it’s also an exceptional place to go whale-watching, and I have wanted to go for years. 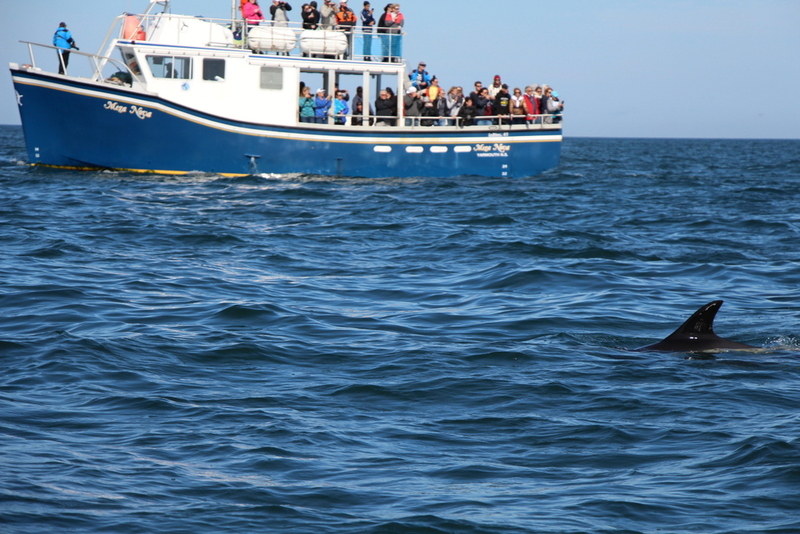 While some people will make a day trip just for to whale watch on Brier Island–it’s about 3 hours one way from where I live–we decided to make a whole weekend of it and headed out Friday morning to Sunday morning. 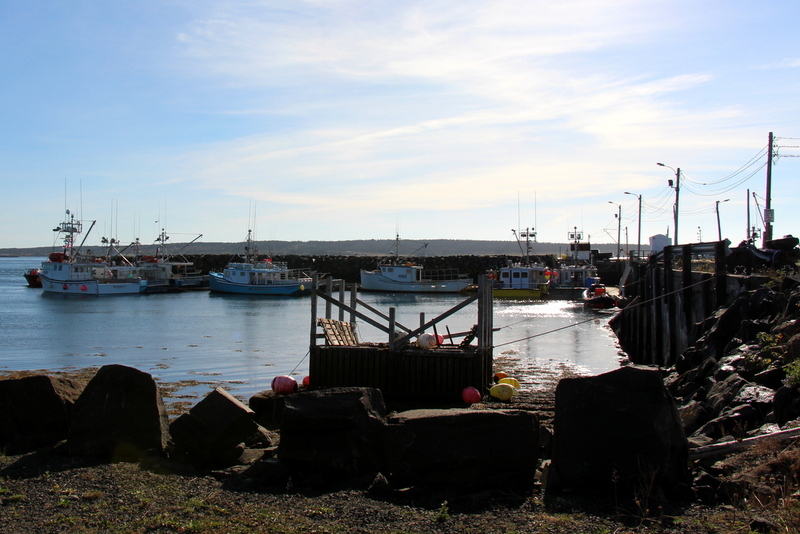 Similar to our Cape Breton trip last fall, I decided to round up a summary of our visit in mostly chronological order by sharing all the things you can do when you visit Brier Island! I’ve also decided that every food/travel post I do in the future I will make sure to specifically mention access to gluten-free options. I have celiac disease and this is definitely something I look for when traveling so hopefully I can help out somebody else with the same struggle. After arriving for a ferry just as it was pulling away, followed by a 2+ hour broken ferry delay, we were pretty hungry by the time we arrived on Brier Island around 4 in the afternoon on Friday. 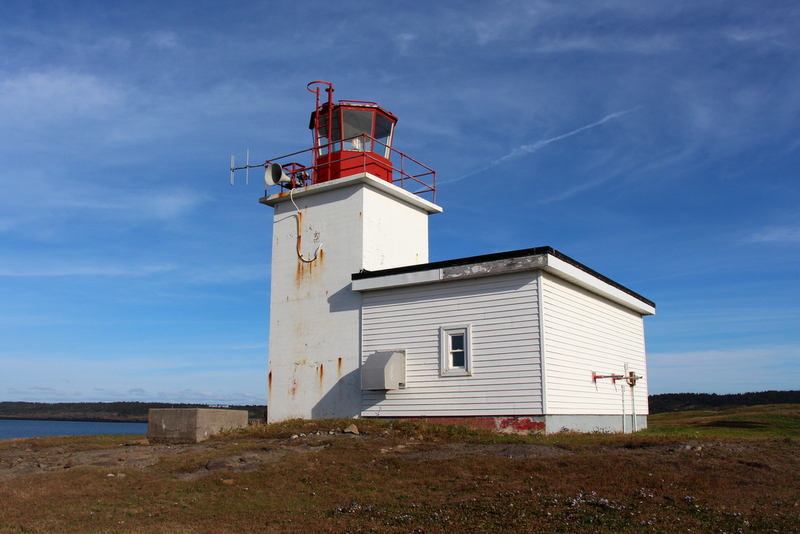 There are really only two places to eat on the Island itself and the only one open was the Lighthouse Cafe. 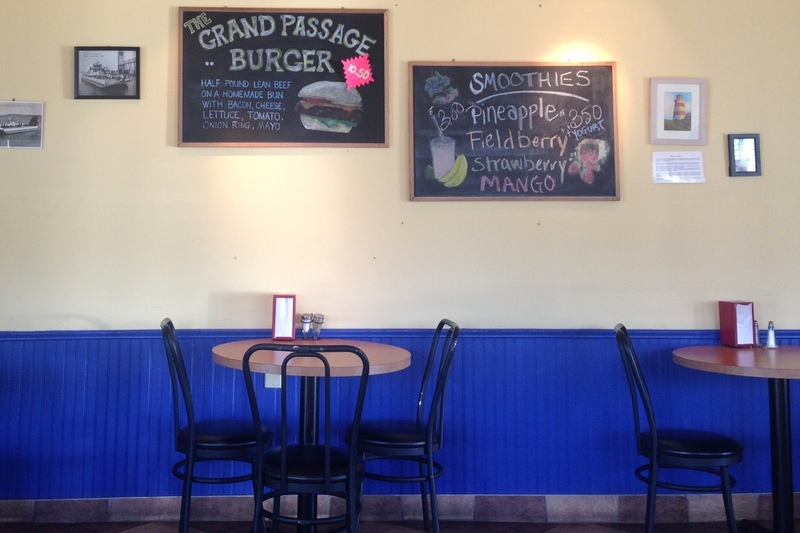 Luckily, it still serves tasty, fairly affordable food including their signature Grand Passage Burger. 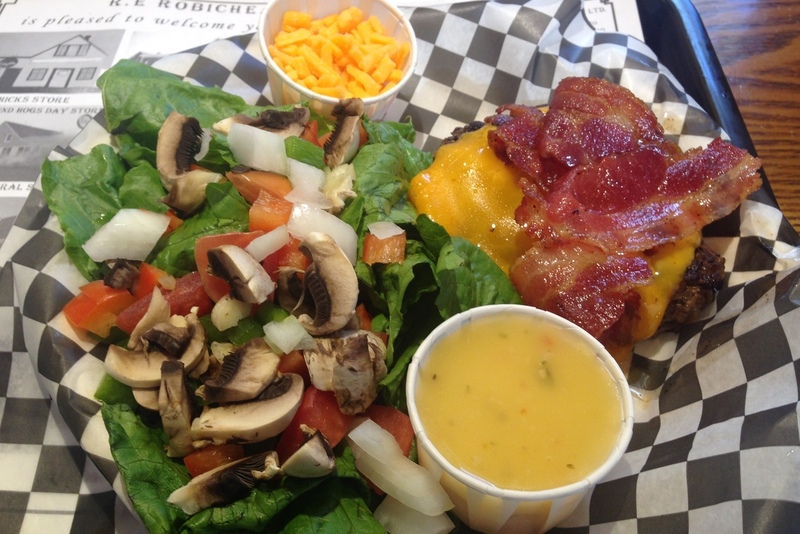 This half pound burger is layered with bacon, cheese, lettuce, tomato, onion rings and mayo. It also comes in a homemade bun. 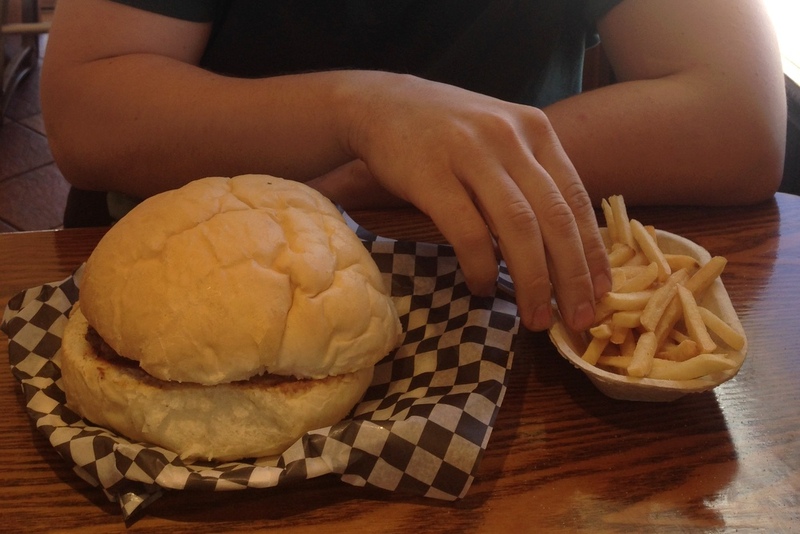 My boyfriend tried it out without a few of those items and enjoyed it–we were really hungry–but wished the bun had been toasted. I was looking forward to eating lots of seafood on this trip, but unfortunately all the seafood at the Lighthouse Cafe is breaded. 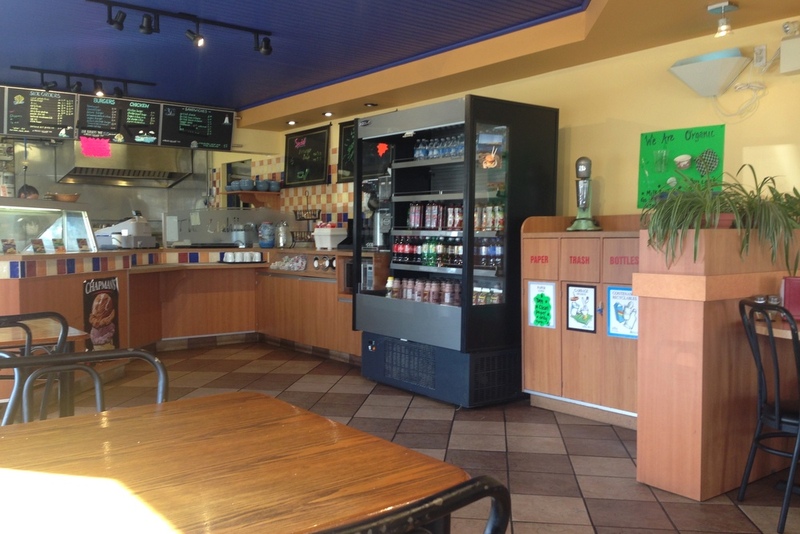 Luckily, although they didn’t have an actual gluten-free option (they do have a veggie burger though!) they were super accommodating at letting me know which menu items were safe. It was suggested I order a grilled chicken breast or hamburger, so I went with the hamburger option. The sides were all breaded or fried, so not celiac safe, but they were happy to make me a salad (not actually on the menu). The food was really good, and while it’s always easiest to travel somewhere where gluten-free is clearly labelled, I was really impressed by the lovely service and accommodation they made for my dietary restriction. I also tried out a smoothie at lunch the next day, and the only ingredients are fruit, juice, and ice (with the option of adding yoghurt). I went with the pineapple option and while it’s not a meal on its own, it is delicious and refreshing! After lunch we ended up falling asleep for a nap and by the time we woke up the sun was already starting to set. 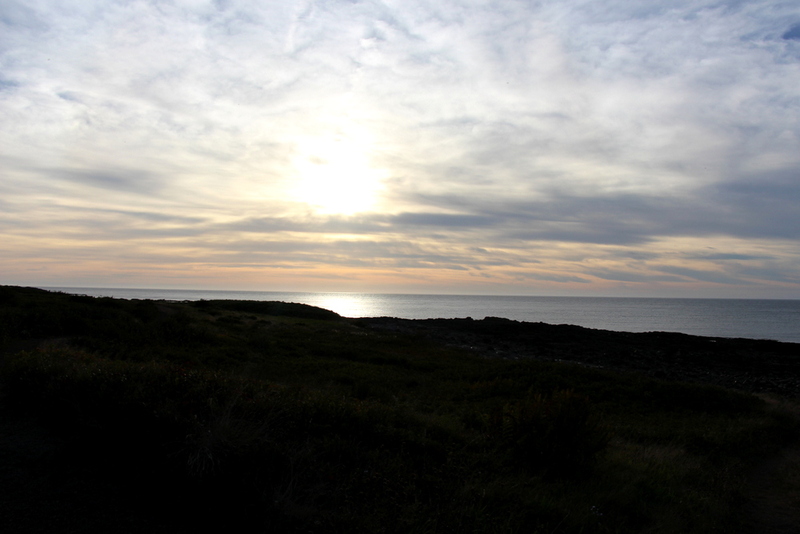 We found our way to the Western Lighthouse which is the perfect place to watch the sunset, but I’ll admit we took a few wrong turns before we got there. Luckily the island is only 25 km long! We saw the beginning of the sunset from the car, but I managed a few snapshots as we watched from the beach and it was beautiful. 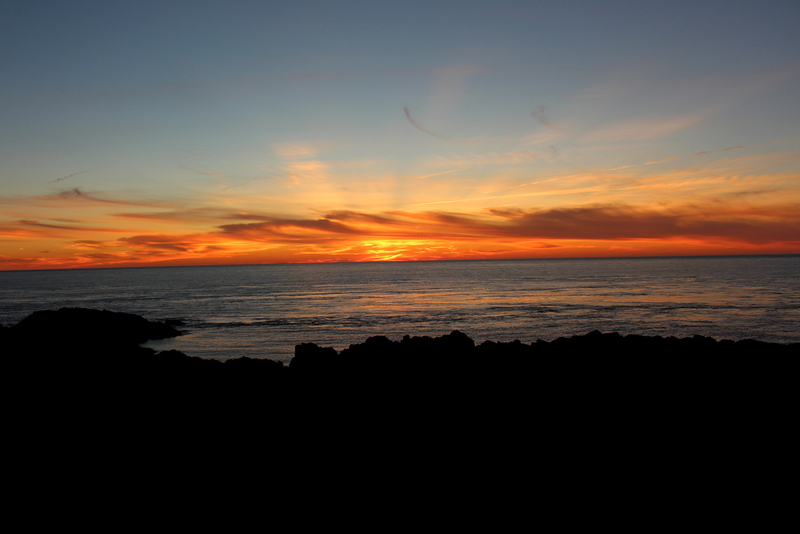 You definitely want to make it to this end of the island to watch the sunset at night. Bonus! We got a chance to see a Harvest Moon (poorly captured by my iPhone) on our first night there, September 16th, rising into the sky just as the sun was setting. Though hard to plan for, it was very beautiful and we were lucky to see it. 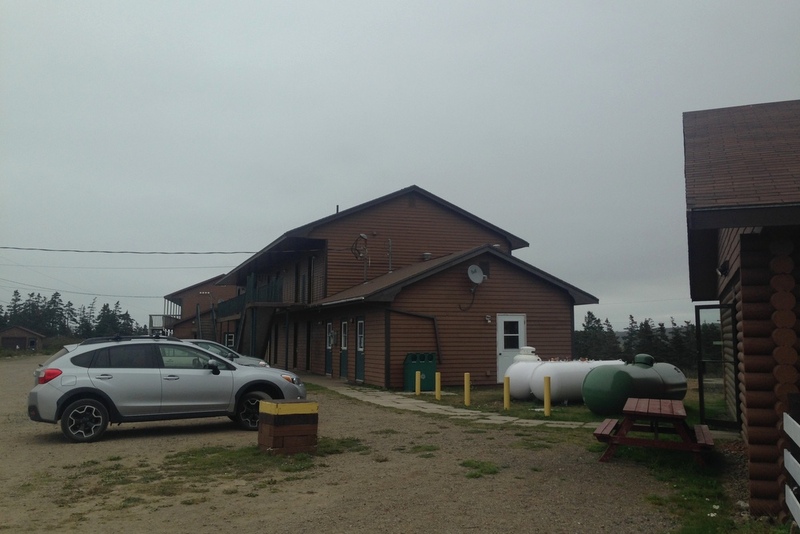 There are a few options of where to stay on Brier Island, but by far the largest/most well-known is the Brier Island Lodge. 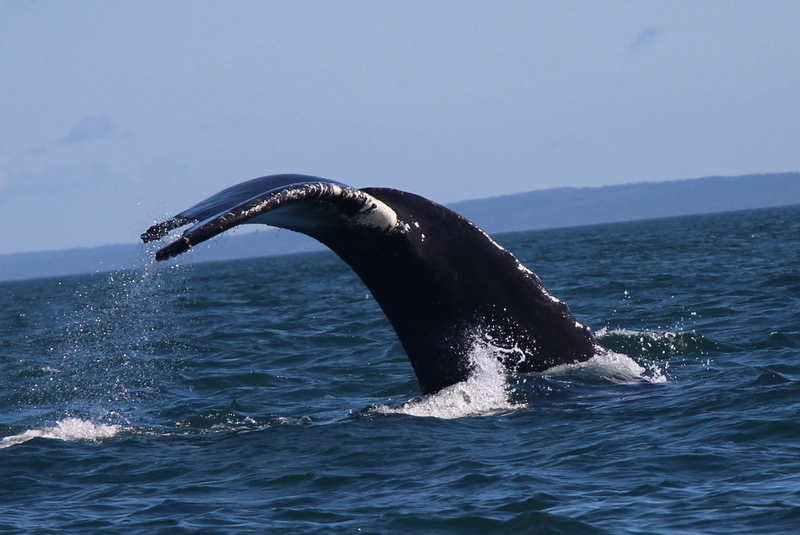 The Lodge has package deals with the whale-watching companies making it easy to book a night away and save a few dollars at the same time. 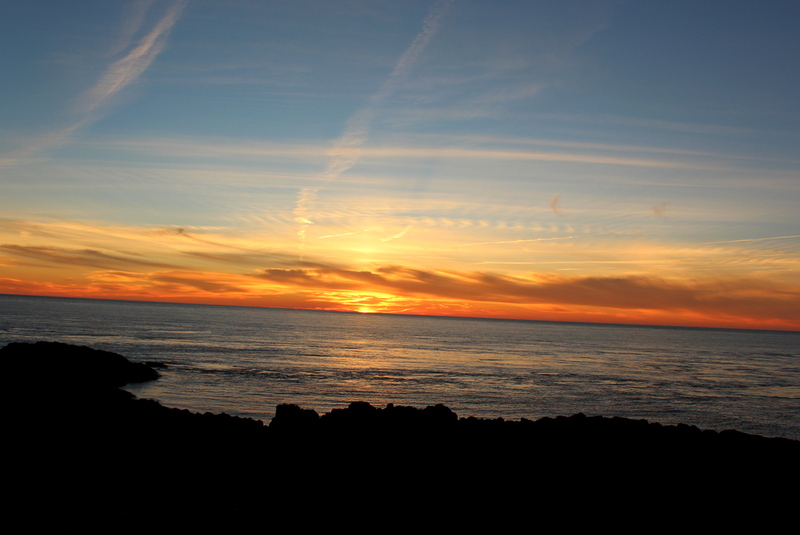 Plus, if you add on an extra night like we did, it’s at a discounted rate. 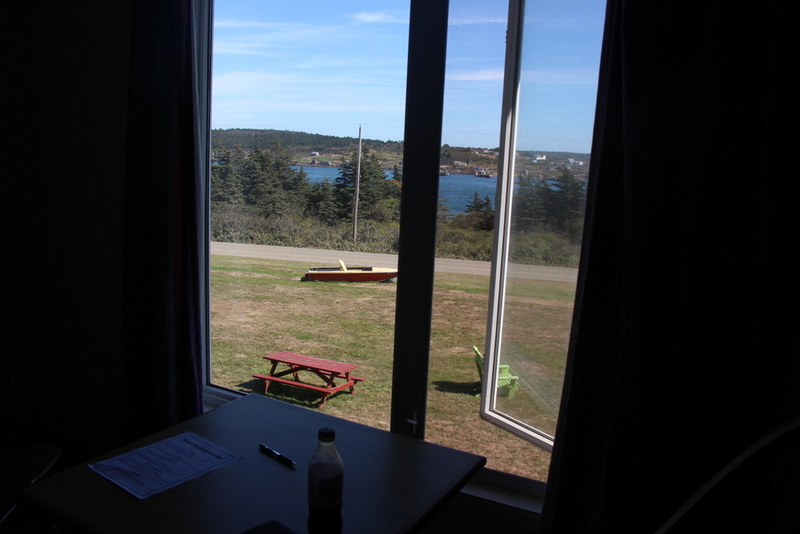 There are plenty of oceanview rooms available, and we stayed in one with a king-sized bed. 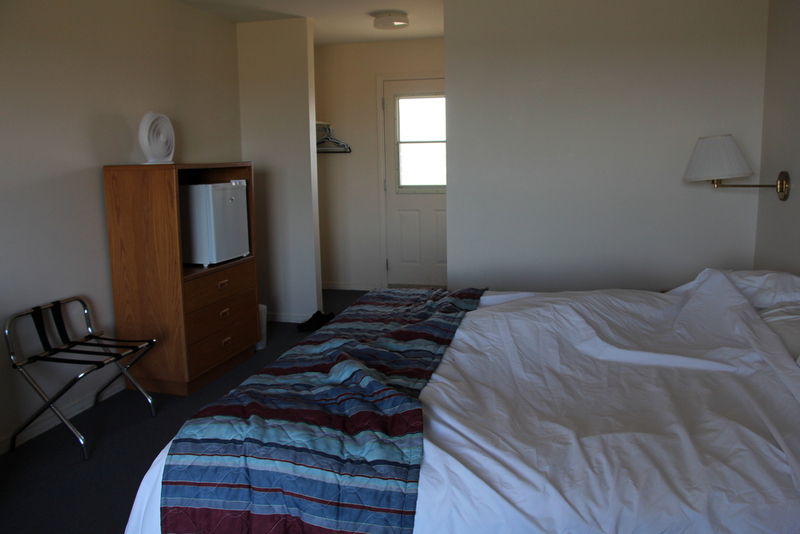 It’s not a super fancy room, but there’s a convenient mini-fridge–you’ll want to pack some food for snacks since there’s only one small store on the island–and a table and chairs right by the large window. I read a whole book while I was visiting sitting at that table and enjoying the view! 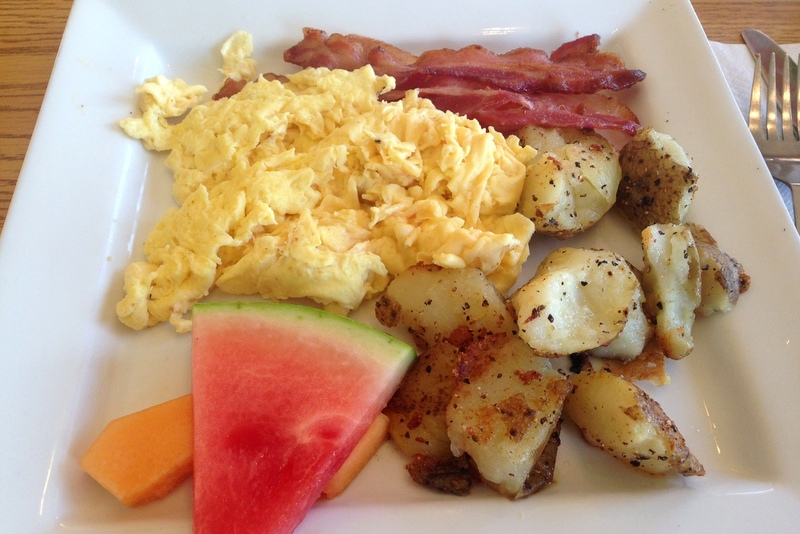 In addition to be a great place to stay, Brier Island Lodge offers the second eating option on the island. We went for two breakfasts and one supper there. There’s a pretty diverse menu and although it’s on the slightly pricier end (~$10 for breakfast and ~$17-30 for supper) it’s delicious food with great service in a remote area where everything is transported by ferry…so definitely worth the cost. 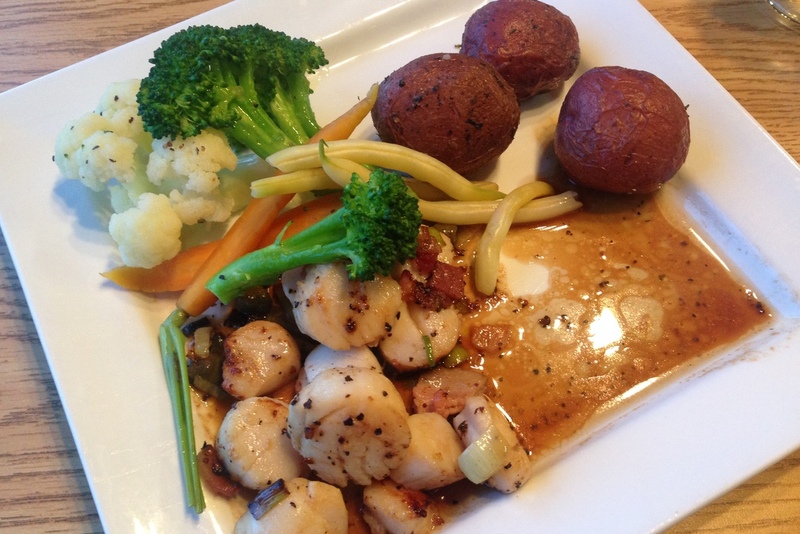 For supper on Saturday night I was desperately craving fresh Digby scallops, and luckily I was able to have them. Although usually coated in flour, Ben let the kitchen know of my allergy and they cooked them in foil instead. It was also served with vegetables, which were okay, but there is also a salad option I’d probably go for next time. The salad is more affordable but when I learned this had more scallops…I couldn’t resist. My boyfriend ate fish and chips which looked amazing and I didn’t get a photo because he dug in right away. 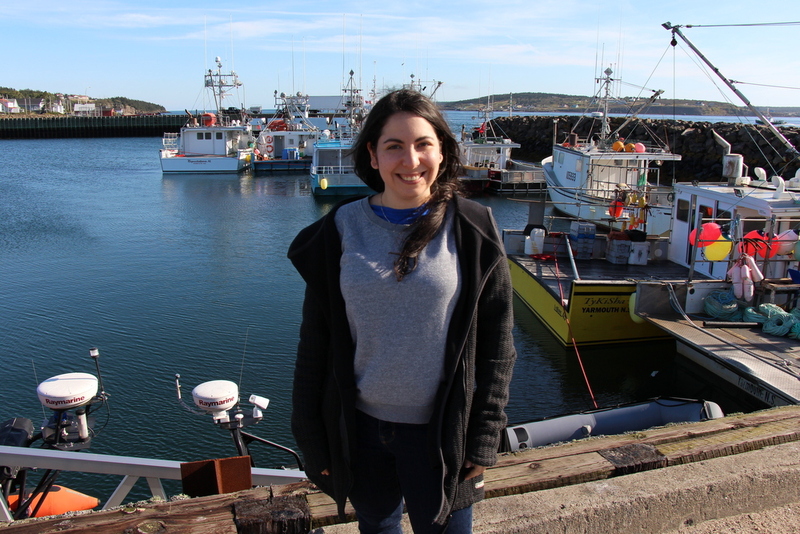 He said it may have been the best he ever tried, and he’s lived in the Maritimes his whole life. Even the coleslaw was amazing! Plus, when the kitchen ran out of tartar sauce, our waiter went and made some from scratch. 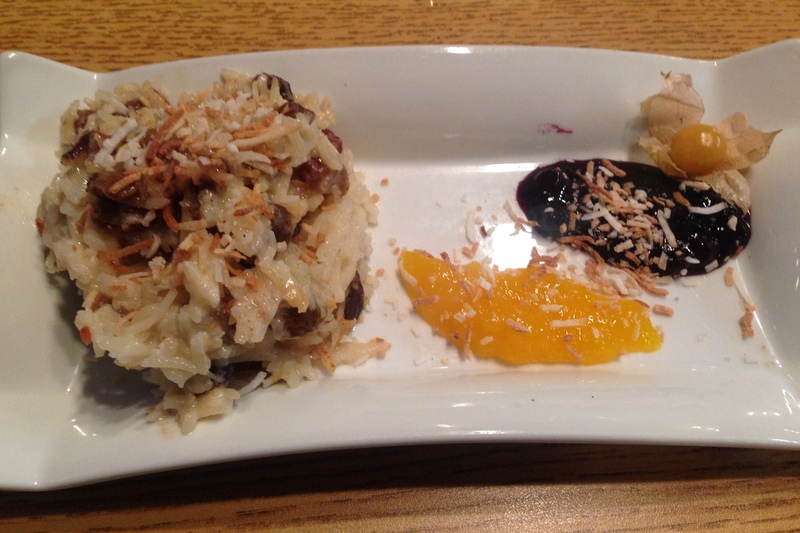 I was definitely content after supper, but when I learned there was a gluten-free dessert option, I had to try it. It was a rum and raisin rice pudding, and although I’d never tried rice pudding before I quickly became a convert. It was really delicious and everything is made fresh there. My boyfriend had their mango and white chocolate cheesecake which was also amazing! 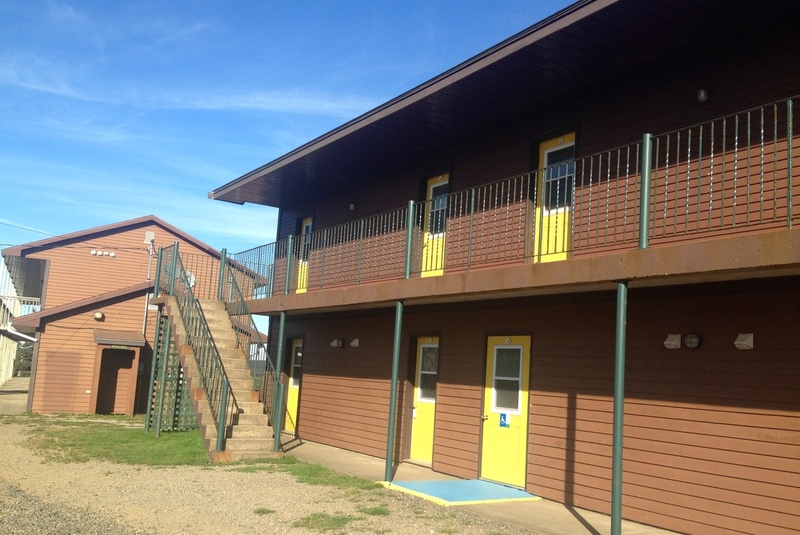 I would highly recommend Brier Island Lodge if you have celiac disease, or another dietary restriction, the staff is extremely flexible and accommodating, and the food is delicious. 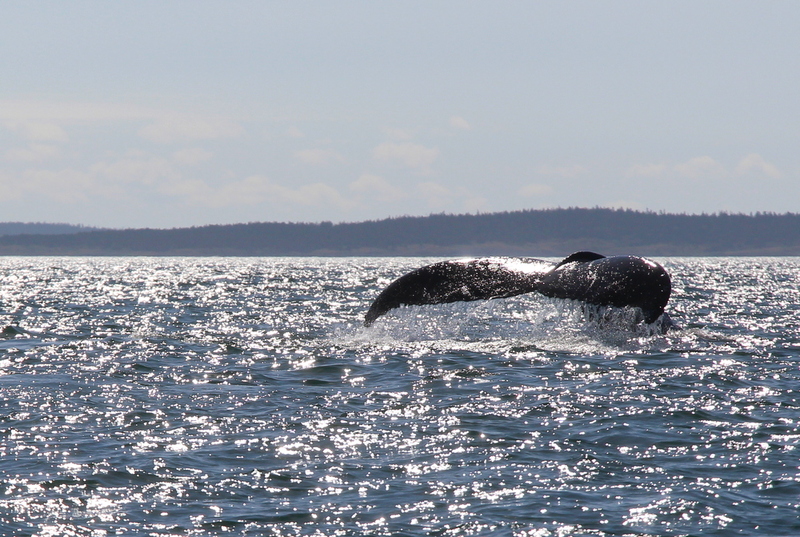 Whale watching was the whole reason we came to Brier Island, and it did not disappoint. 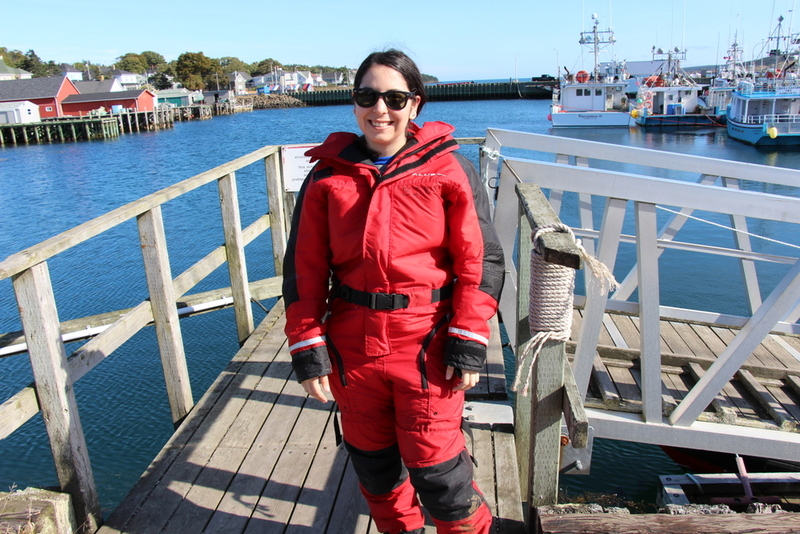 We booked our tour on the Zodiac, which is a small boat that requires that you wear a full-body flotation suit and only accommodates 12 people. 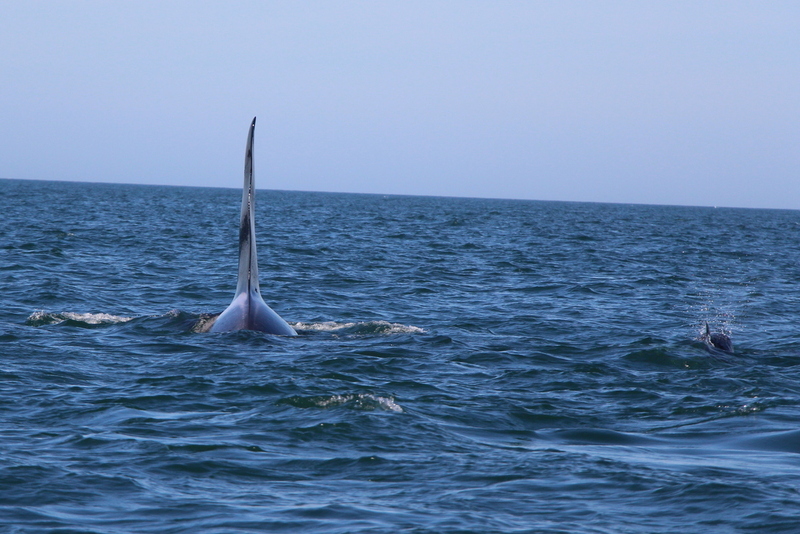 You can see how close to the whales we were able to get! I also took a photo of the Mega Nova, which is a larger boat that has a washroom on it and is better suited to young children, the elderly, etc. 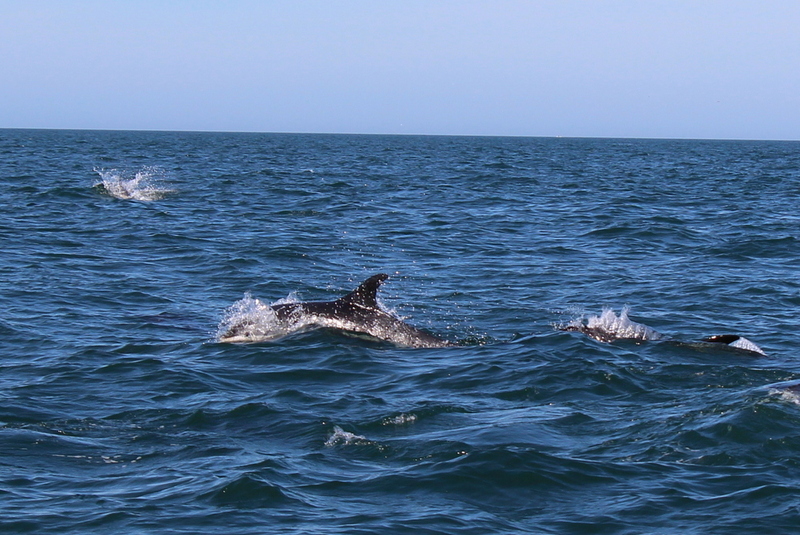 However if you are up for a bit of an adventure, I highly recommend taking a ride on the Zodiac! 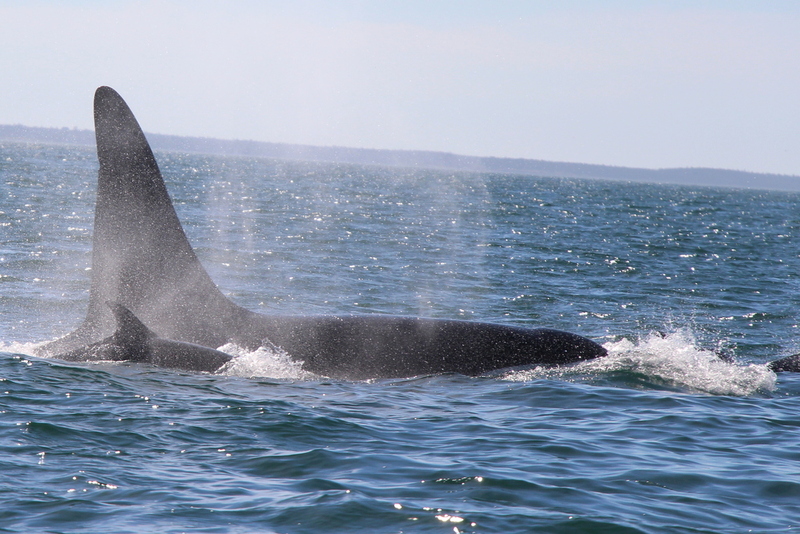 Even though it was mid-September we had absolutely beautiful sunny weather, and it was perfect whale-watching conditions. 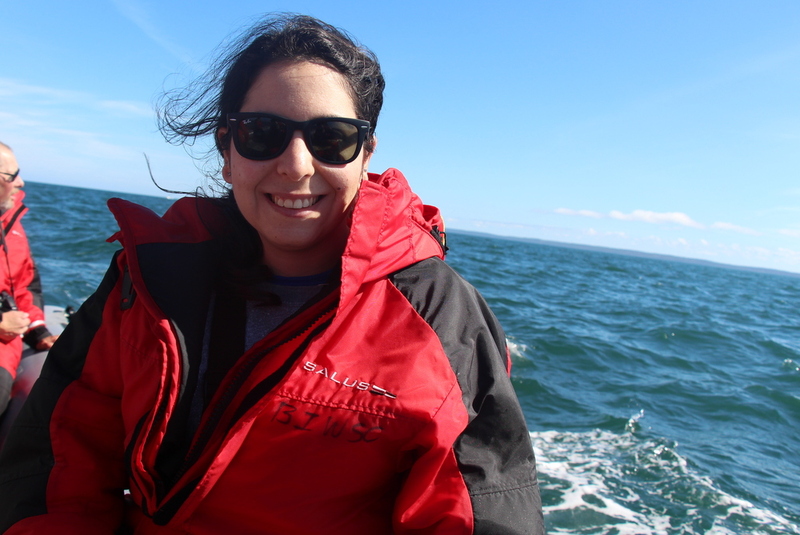 Our captain, Jaime, did an excellent job and we hardly went a minute without seeing a whale. 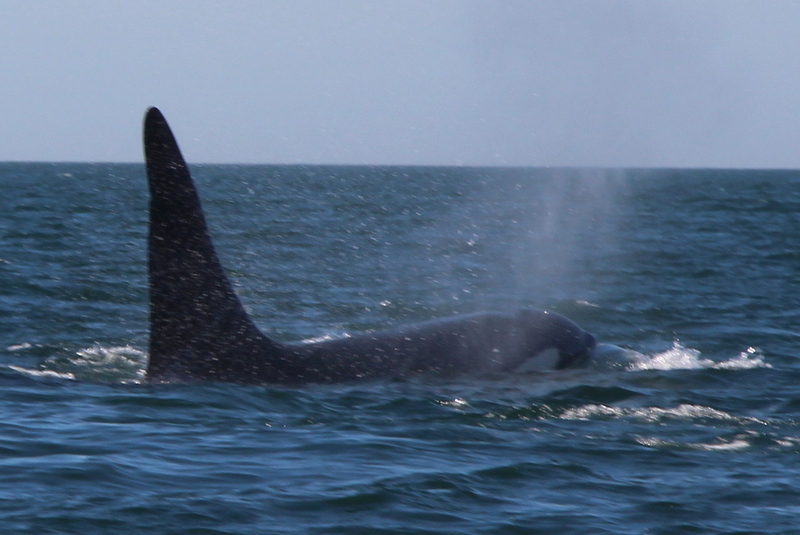 We were super fortunate because we saw an orca, or killer whale. This was the first time Jaime had seen one this year, and we heard that the captain on the Mega Nova hadn’t seen one in four years! 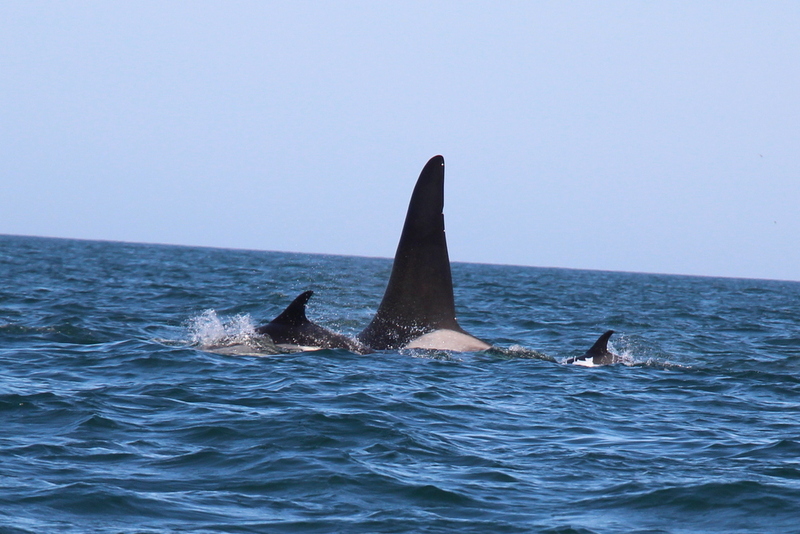 The orca, Old Tom, travels with a posse of dolphins, and you could always tell when he was going to come up by seeing a bunch of them rise up first. It was so cool! 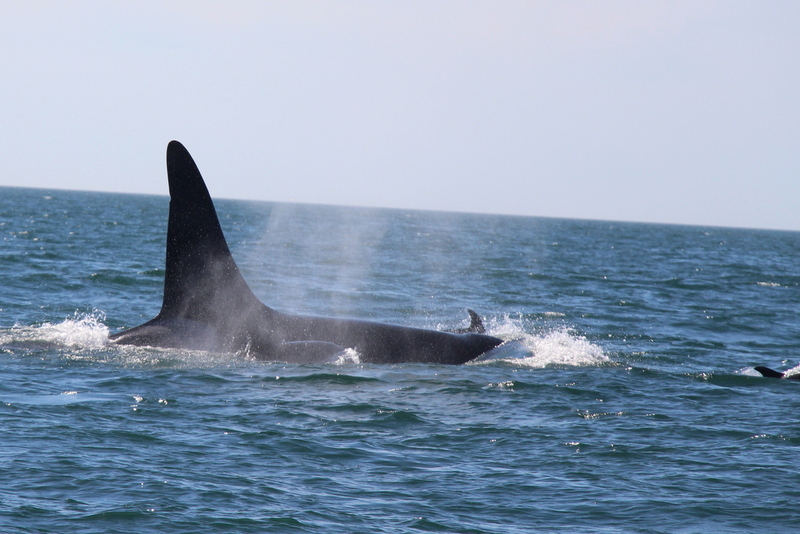 Although we were really spoiled to see an orca, we did also see a finback whale (also rare) and plenty of humpback whales, which is generally what people see. 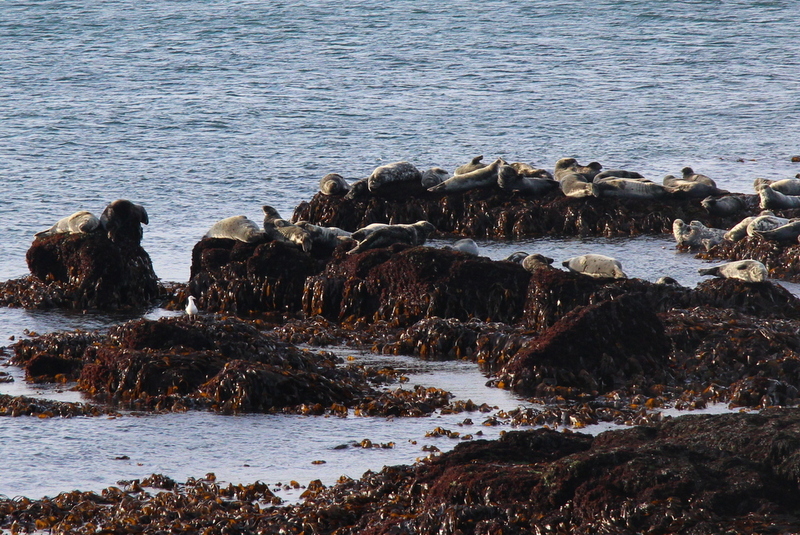 Plus we got awfully close to a seal. It was an amazing time. 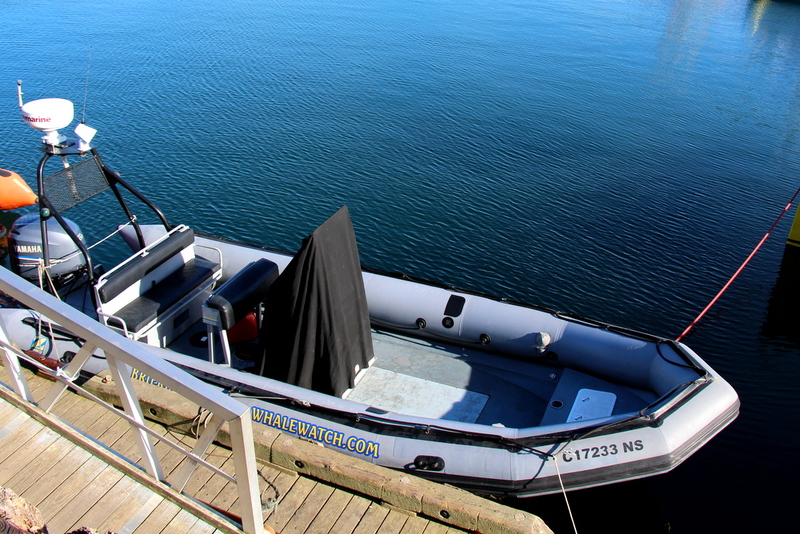 We were out in the boat about 2.5 hours, but the time will vary depending on the time of year. 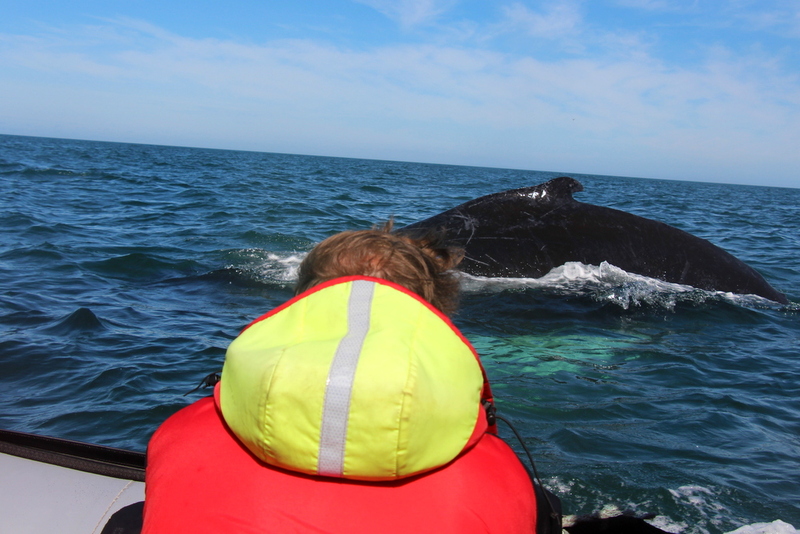 We really want to go back next year, and we are thinking of booking two whale-watching tours when we do. This is an incredible experience and honestly, it would have been awesome to go out again in the afternoon. Apparently Old Tom breeched later in the day! 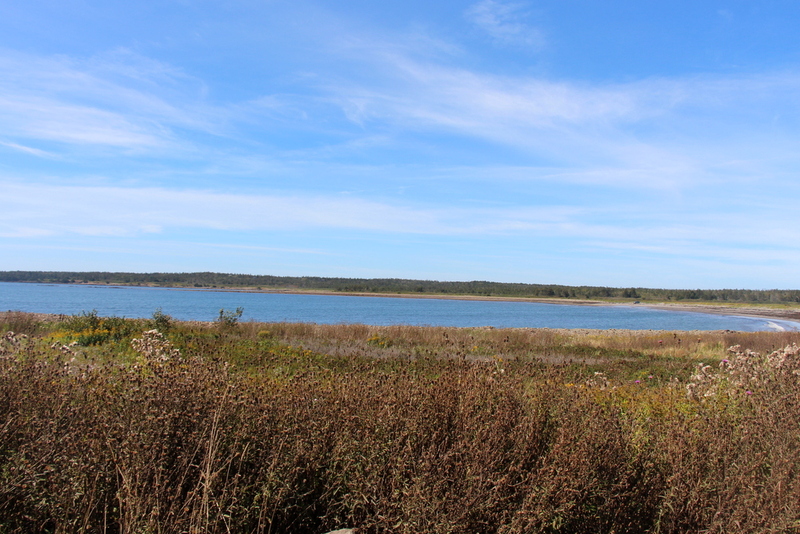 In addition to whale-watching, I had heard a lot about Seal Cove before visiting Brier Island. 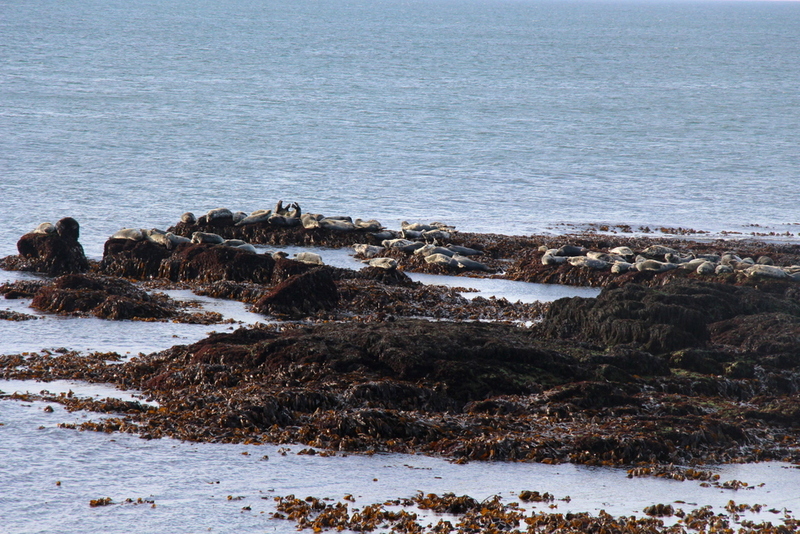 It’s a great place to see seals suntanning themselves, and the best time to go is low tide. 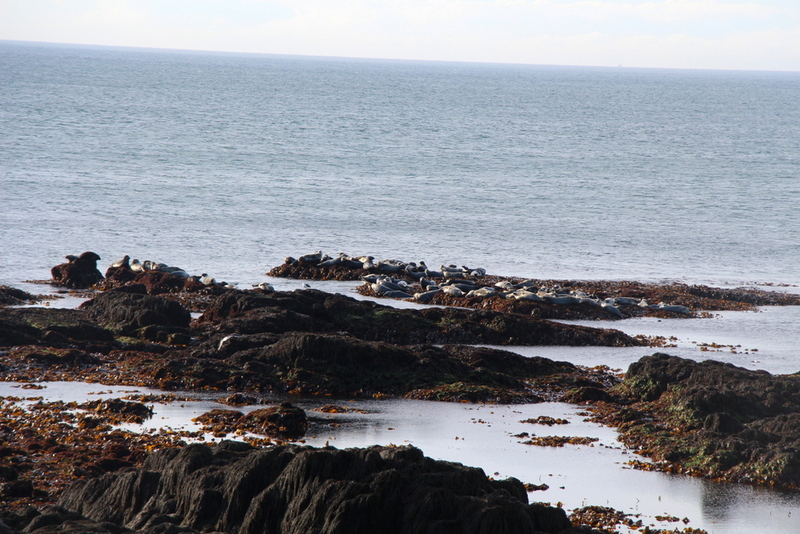 We went about 30 minutes before low tide and when we arrived another couple let us know we would hear the seals before we saw them. They weren’t kidding! 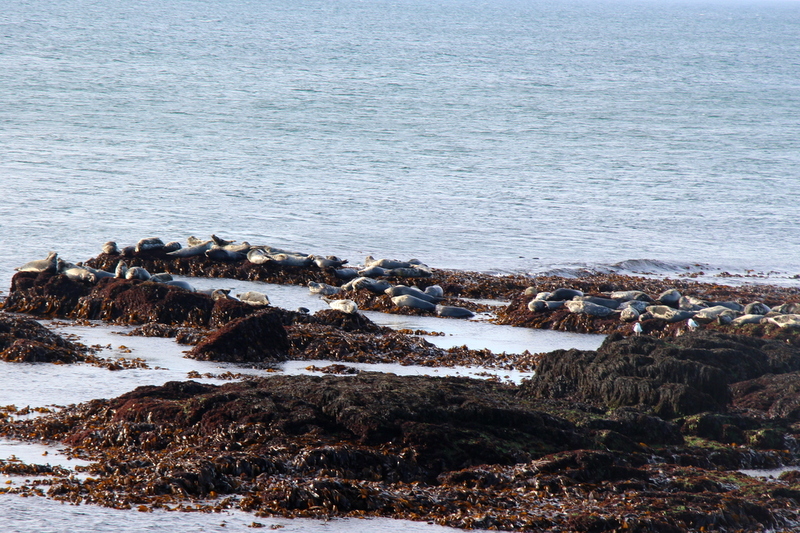 There were about 50 seals there and they were so cute to see and hear. You aren’t super close to them–my camera zoom does help, but you can have a better idea in the photo I’m in–so I recommend bringing a pair of binoculars. There are also lots of opportunities for bird watching, which we didn’t do, but binoculars would help with! After Seal Cove we headed back to the lodge for our supper and a relaxing evening. Bonus! We didn’t actually do this, but I wish we did! 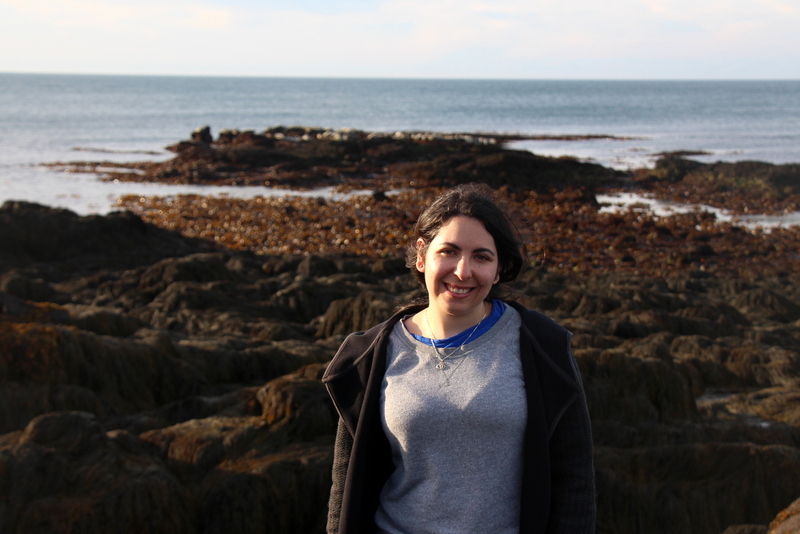 I’ve messed up the chronological order here, but we actually went to Pond Cove right after lunch, prior to visiting Seal Cove, since we had time before low tide. As soon as we arrived at Pond Cove I wished I’d packed a picnic lunch, and when we go back next year that’s absolutely what I’ll be doing! 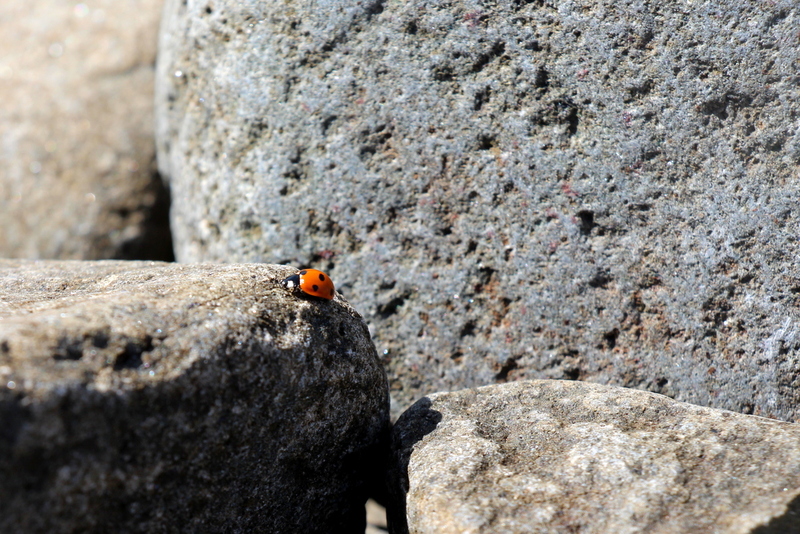 It’s a beautiful sandy beach, so definitely pack a bathing suit if you want to dip in the ocean–a dad and two kids did while we were there–but we just enjoyed the ocean scent and noises while we relaxed on the rocks. Bonus! 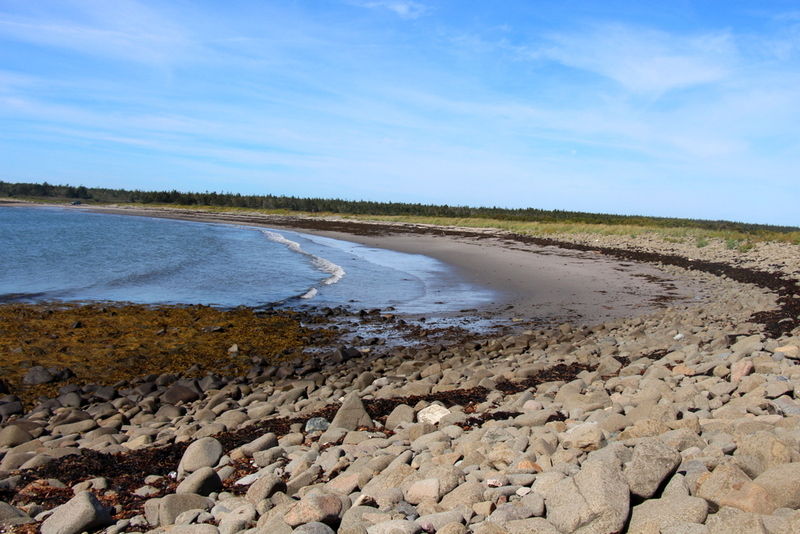 This isn’t actually on Brier Island, but it’s nearby and worth the visit! 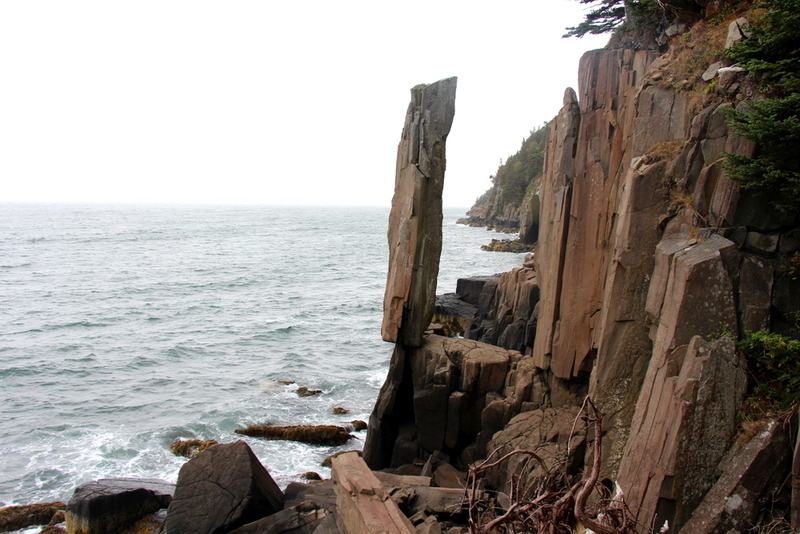 Although not actually on Brier Island, the Balancing Rock is an easy stop on your way back to the mainland. 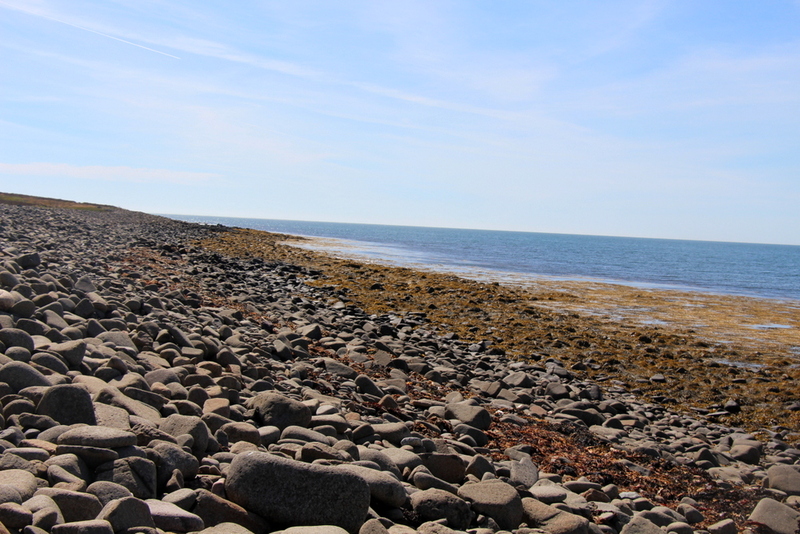 There are two ferries to get to Brier Island, and after the first one you reach reach Long Island where Tiverton and the Balancing Rock is located. The trail to the Balancing Rock takes about 20 minutes, and although online sources vary seems to be a little over a kilometre long. 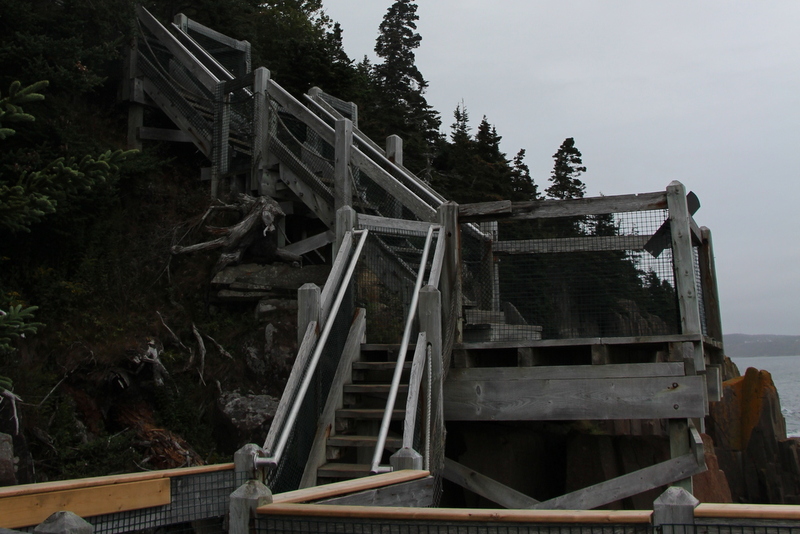 However at the end of that is 250 stairs! 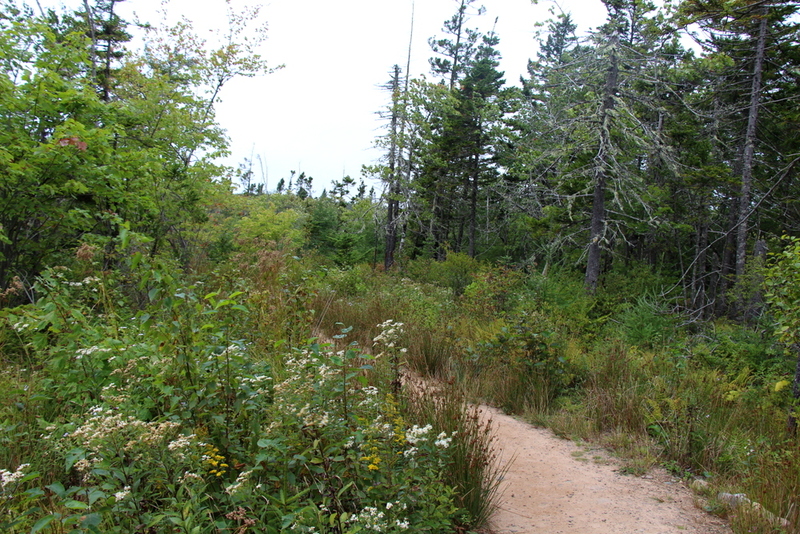 So while it’s not a difficult hike keep that in mind if you have physical health issues or young children. There is plenty of information along the hike about the surrounding area as well as the Balancing Rock, and once you arrive it is absolutely worth the view. It’s a beautiful area and it is an amazing feat of nature to see that rock balancing! After visiting the Balancing Rock on Sunday morning we drove back home and got back to our real lives sadly. However this weekend escape to Brier Island was an amazing trip and with so many awesome things to do, I highly recommend you visit the Island if you have the opportunity! 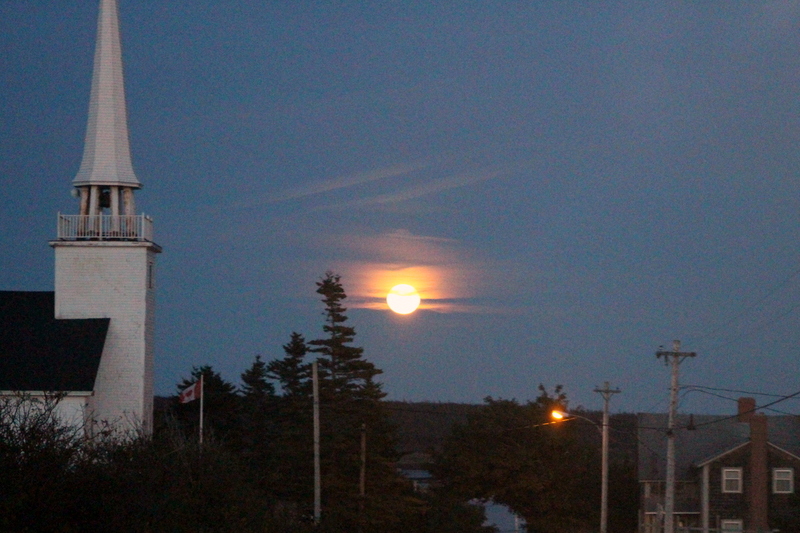 Have I sold you on taking a trip to Brier Island yet? 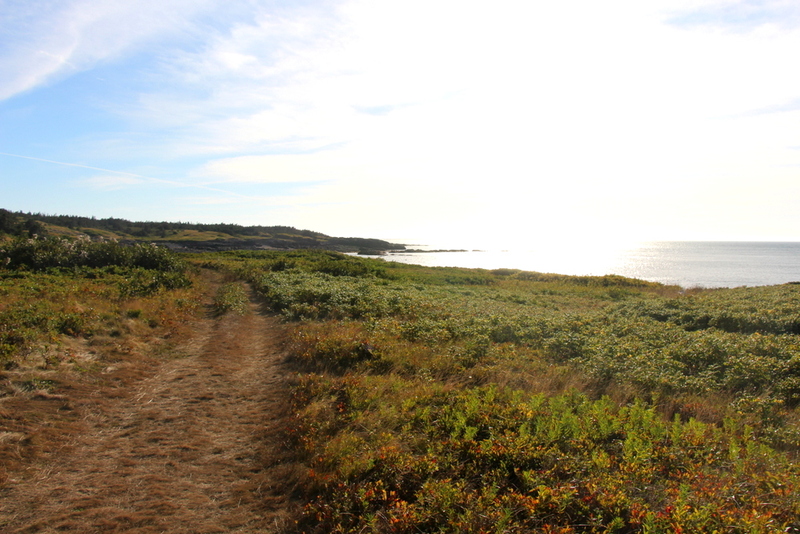 Let me know what you think of this travel post, I definitely want to continue to share gorgeous little bits of Nova Scotia when I get the chance. It’s such a beautiful place and I’m so lucky to live here.